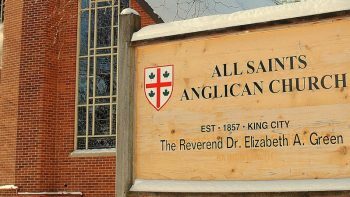 This year, All Saints has embarked on creating a narrative budget – one that tells the full story of our parish and community life, not just the status of our bank accounts. 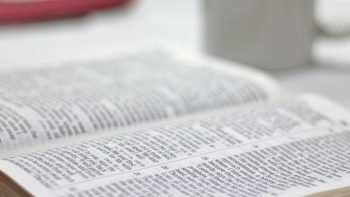 From now until Vestry in the fall, we are asked to pay attention to our God-inspired activities, and note these in the record books you’ve been given. Each Sunday, please transfer your hours to sticky notes (“leaves”) for our volunteer/giving tree at the back of the church. These will be collected and tabled throughout the year, and become a part of our new narrative budget which we will roll out at Vestry 2019. Some information about this initiative is below which may help answer your questions. What is this about / what is this NOT about? For our narrative budget, it is important that we understand where and what our congregation gives throughout the year – this includes not just our “treasure” (money), but also our “time” and God-given “talent” as well. As our Treasurer already does a fantastic job of tracking our given “treasures”, we are asking the congregation to participate in the activity of “time” and “talent” tracking. Validation: We think we know what people are doing here at All Saints, but we’re not sure – tell us! It will be great to one day have a list of opportunities for people to look at (especially new folks) and decide where they might like to help out or join in to make connections with others. Discovery & Awareness: Helps us to see where we are spending our time and talents – If we find that we’re spending thousands of hours orchestrating our worship services but only a few hundred engaged in outreach, we can consider that we might need to put more emphasis looking outwards instead of inwards, and perhaps where to direct our budget to help grow that area of ministry. Recognition: It is important to make known the good works we are already doing at All Saints as a means to encourage, support, and give thanks. Energize & Build Community: We want people to get excited about what is happening at All Saints, to identify opportunities to join in, to see where the spirit is moving individuals and our parish as a whole, and to build a sense of team and togetherness as we embark on this process of bringing to light our God-inspired activities. Why are we doing this? The point of this activity is to understand and record where we spend the time and talents that God has given us. There is nothing wrong in paying attention to this and developing plans around our discoveries. We want to come out of this year having done a deep dive in the parish on what God is doing here, and where he may be leading us. We want our church family to see all the good things going on around them, and feel inspired to participate more fully in the life of the congregation and in carrying out the good works done for the glory of God. The use of a giving tree is a method used by MANY churches worldwide, and is supported and encouraged within our own Toronto Diocese as part of a church’s Stewardship program. This is not something new or something we invented. This is a good thing, and one we should all be excited to support and participate in. Additionally, as a congregation facing financial troubles (we are currently struggling to meet our monthly operating costs), we must take action – and collecting information is the first step of the process. This is one part of a larger Stewardship program we are embarking on at the church – one that will stretch for several years. A narrative budget is a first place to start; there will be more initiatives to help our congregation come out of the storm we are experiencing, and into sunnier weather in the months to come – assuming your support and participation. What do we record? The leadership team is asking everyone (volunteer, paid, or participant) to be cognizant of all the ways God is working and shining through us, and to record their time and talent contributions within All Saints, and in the community. 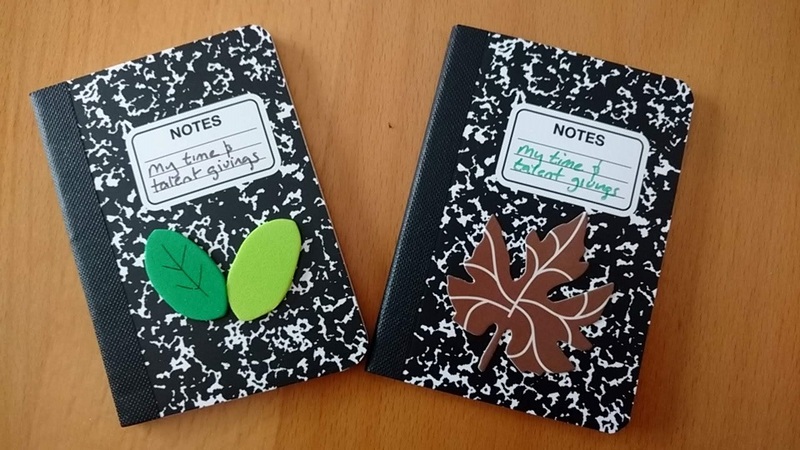 The hours that we record in our little books, and later transfer to sticky notes (“leaves”) on our Giving Tree, will cover participation, volunteerism, paid work related to parish life, and engagement with the community outside these 4 walls. Do you help with worship on Sunday mornings as a greeter, sidesperson, counter, choir member, lay anointer, chalice bearer, server, coffee hour host, reader, or arranging the flowers or setting up the altar? 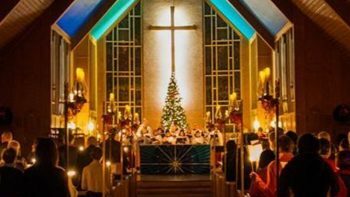 Do you help make decisions on property or financial concerns at All Saints, perform administrative duties, or purchase supplies for the church? Do you make phone calls to those who are sick, participate in a bible study or prayer group, visit parishioners in hospital? Do you shop and prepare food for Crosslinks, pick up people for church or groups, help with fundraisers, organize lists of readers and chalice bearers, donate food to the foodbank? Do you volunteer for organizations outside of All Saints, or make donations of time, talent, or treasure to external charitable organizations? The list is endless in the ways we each contribute to our parish life – whether it’s in the form attendance and participation, or spending hours on a particular committee. Please record all of these in your Giving Notebooks, and eventually on our Giving Tree leaves. The hours will be compiled, with no particular person associated with any of the recorded information. If you aren’t sure the time “counts”, include it anyway on the tree with a short descriptions, and we’ll figure it out on our end when we collect the information each month and tabulate it.